• Location: River Mile 535.0. • River Elevation: 583 Feet. • Railroad: Iowa, Chicago, & Eastern Railroad. • Daily Traffic Count: 3 Trains Per Day (Estimated). 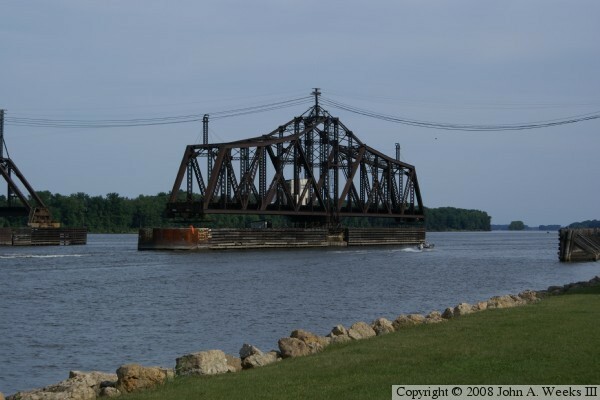 • Bridge Type: Steel Through Truss W/Swing Span. • Navigation Channel Width: 154 Feet Up River, 156 Feet Down River. • Height Above Water: 18 Feet. • Date Built: Opened 1906. 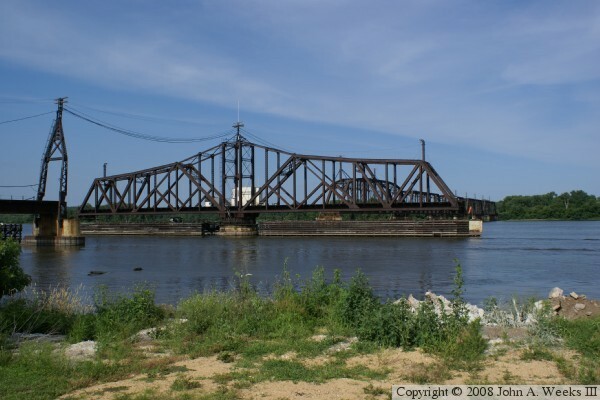 The first bridge here was built by the Milwaukee Road in 1882. It was an iron bridge. It served as the important river crossing bridge for the Milwaukee Road mainline to Kansas City. 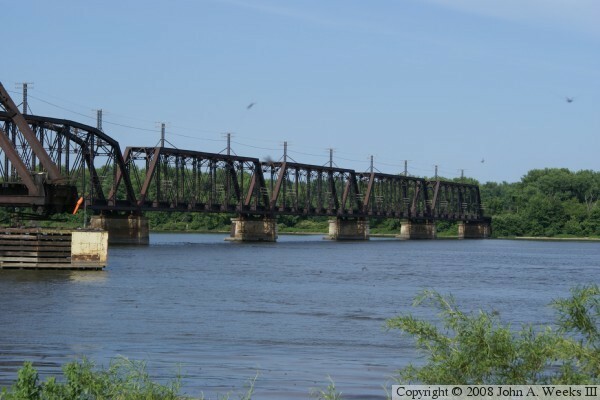 That bridge was removed, and a steel bridge was built in 1906 to accommodate heavier railroad traffic. The Milwaukee Road was bought by the Soo Line on the last day of 1985. The Soo Line merged into the Canadian Pacific. The Canadian Pacific sold this line to the I & M Rail Link in 1987. That line reincorporated in 2002 as the Iowa, Chicago, & Eastern Railroad, commonly called the ICE. The river crossing is long and circuitous. The crossing starts on the west side of the river in Iowa. The line has a Y that is mostly a causeway built over water. 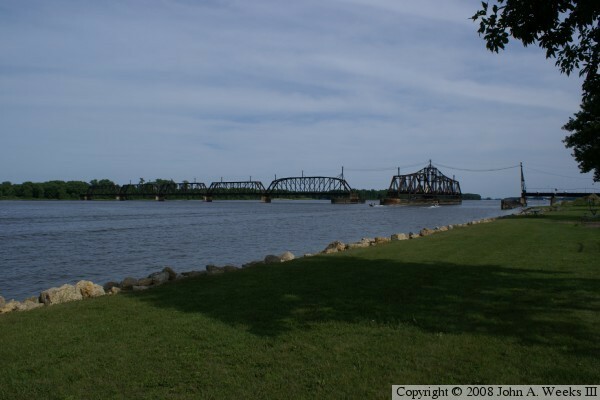 From there, a 3,170 foot long causeway carries the rail line into the island city of Sabula, Iowa. The city itself is 1,000 feet wide. The rail line is on an elevated earthen embankment across the entire city. 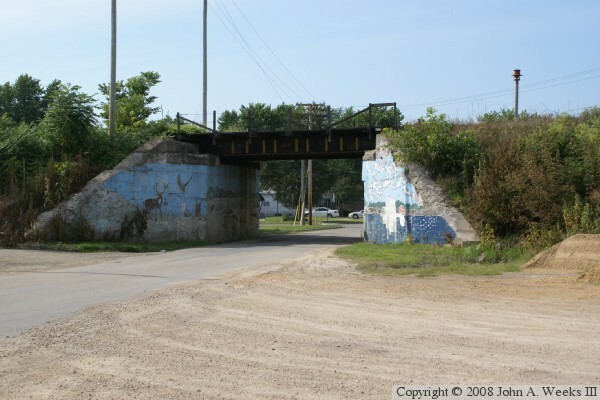 There is one small bridge in the causeway to allow a street to cross under the railroad. 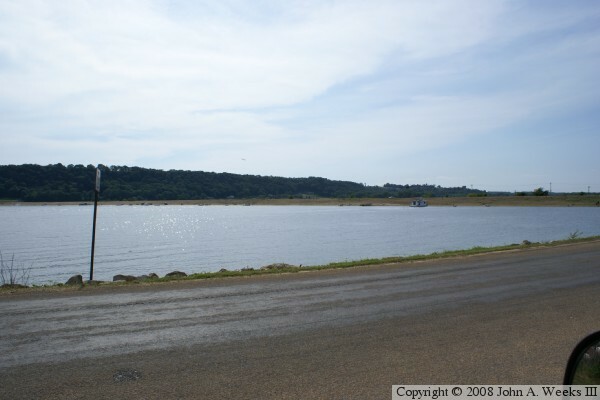 To the east of Sabula is the main channel of the Mississippi River. The steel structure is 1,910 feet long, of which 364 feet is a swing span. Both sides of the pivot point are navigable, with the northbound channel being 2 feet narrower than the southbound channel. The steel structure ends on the east side of the main channel. The photos would suggest that this is the end of the crossing. Instead, what looks like the Illinois mainland on the east side of the Mississippi River is actually just a thin island between the main channel and Edick Lake. Here, the rail line follows this chain of islands and a causeway for two miles north. The rail line then crosses Savanna Slough and the Plum River before landing on the Illinois side of the river. This causeway is nearly 11,000 feet long.